Here at Pluming Webmasters we dedicate our time to helping our clients dominate their local markets. We provide our clients with design, content, mapping , social media and more. We are excited about the services we provide and we are constantly expanding our work to ensure our clients not only reach the top, but stay on top. This month we would like to highlight a client of ours in South Carolina. 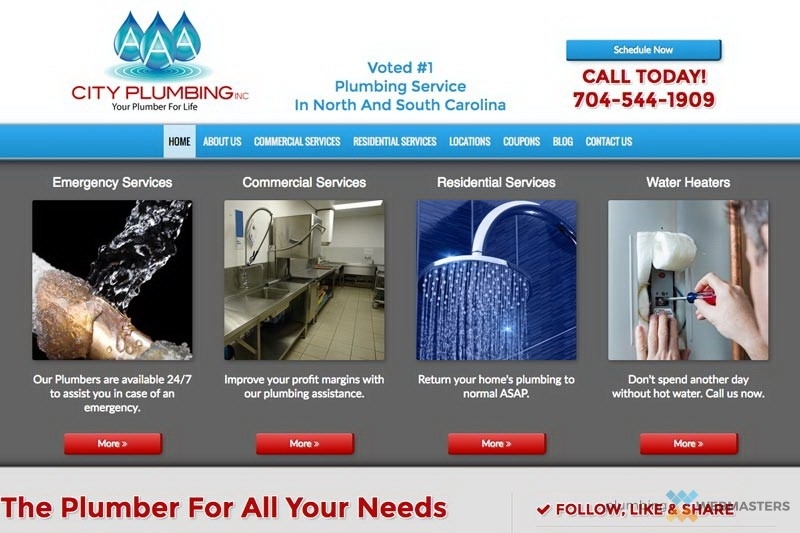 This plumbing company, called AAA City Plumbing, is dominating their local market for important keywords. We began by providing them with a new design and optimized, unique content. We also ensured their mapping is set up properly. And we continue to provide ongoing work for them including social media management. We are excited to continue to work for AAA City Plumbing to ensure they keep their spot on top and dominate for more and more important keywords. Ready to dominate your local market? You could become our next success story! Talk to us today to learn more.